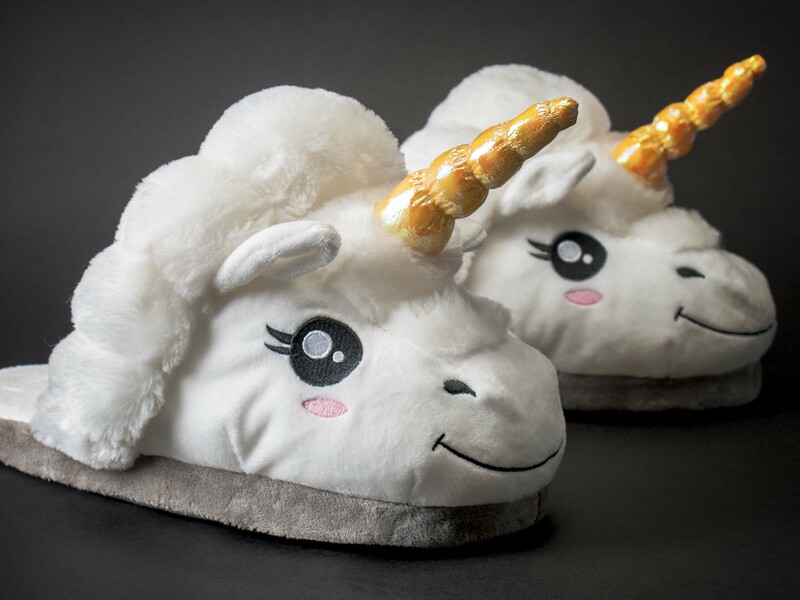 These might just be the world's cutest slippers. 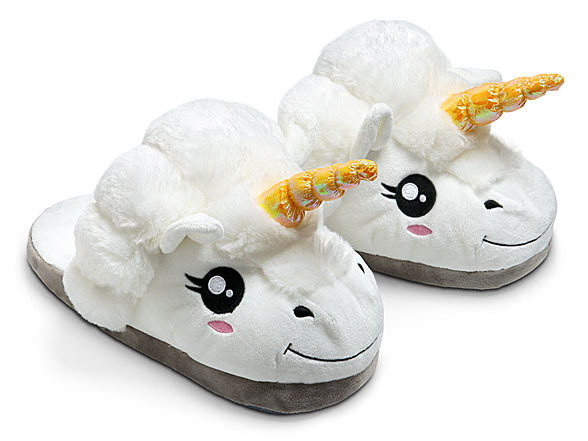 Frolic around on My Little Pony legs with these ultra-comfy slippers shaped like a unicorn. Of course the gold-coloured horn cannot be missing on the smiling horsey head. Just to be clear - the horn is just as soft as the rest of this fluffy gadget. It might be a mythical animal, but it will keep your toes nice 'n warm and that is no fairy-tale. 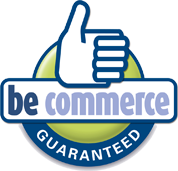 They are suitable for nearly all sizes (up to 44). Get your own happy feet, or give them to someone as a gift - they’re bound to love them!